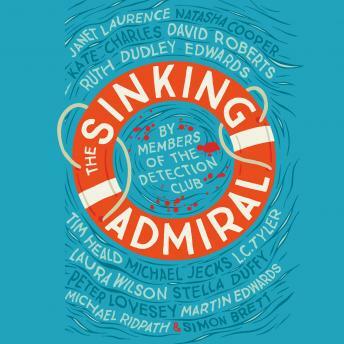 The Floating Admiral was the first of the Detection Club's collaborative novels, in which twelve of its members wrote a single novel. Eighty-five years later, fourteen members of the club have once again collaborated to produce The Sinking Admiral. 'The Admiral' is a pub in the Suffolk seaside village of Crabwell, The Admiral Byng. 'The Admiral' is also the nickname of its landlord, Geoffrey Horatio Fitzsimmons, as well as the name of the landlord's dinghy. None of them are as buoyant as they should be, for the pub is threatened with closure due to falling takings. Tempers are already frayed due to the arrival of a television documentary team when Fitzsimmons is found dead in his tethered boat. The villagers assume a simple case of suicide and fear that their debt-ridden pub will now sink without trace. The journalists seem determined to finish the job by raking up old skeletons, but they weren't banking on the fact that this story has been written by 14 extremely competitive crime writers - arch bamboozlers who will stop at nothing to save a good pub. all members of The Detection Club.